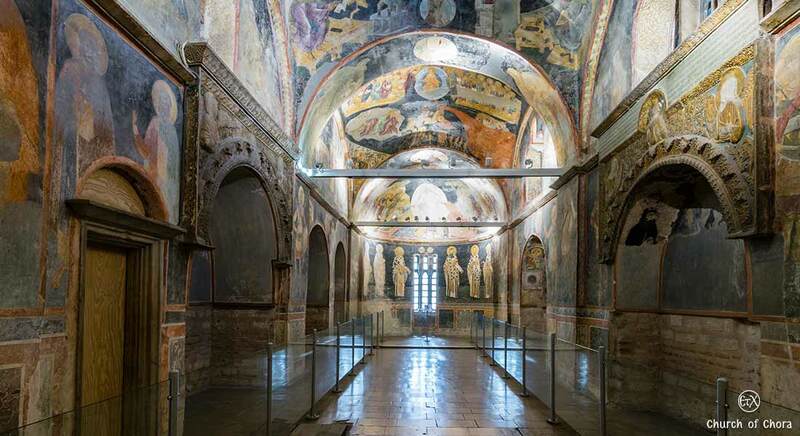 Chora Church (Kariye Museum) parekklesion (Greek: Παρεκκλήσιον) is rectangular and single aisled, the funerary chapel houses fresco paintings, figural representations and portraits, lunettes, and four arched tombs or Arcosolia, vaults placed on each side of the central bays, two in the south wall and two in the north wall. 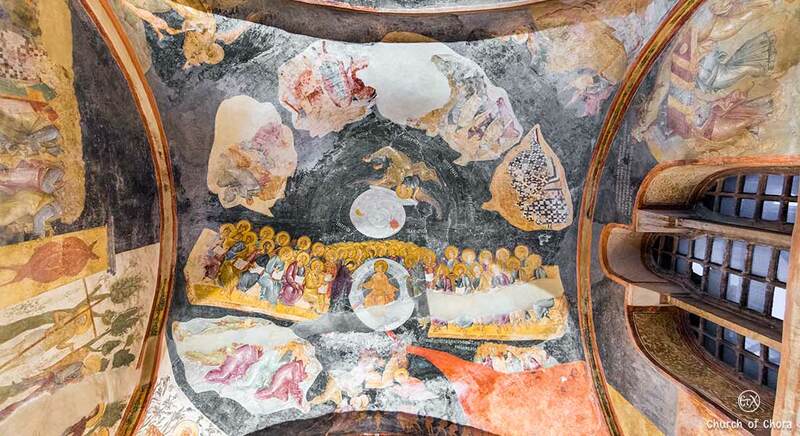 Parekklesion was designed as a shelter for the tombs including the one of Metochites’ but was also used for the performance of the rituals related to death and burial as this is evident throughout with scenes of resurrection, afterlife, and saintly intercession. 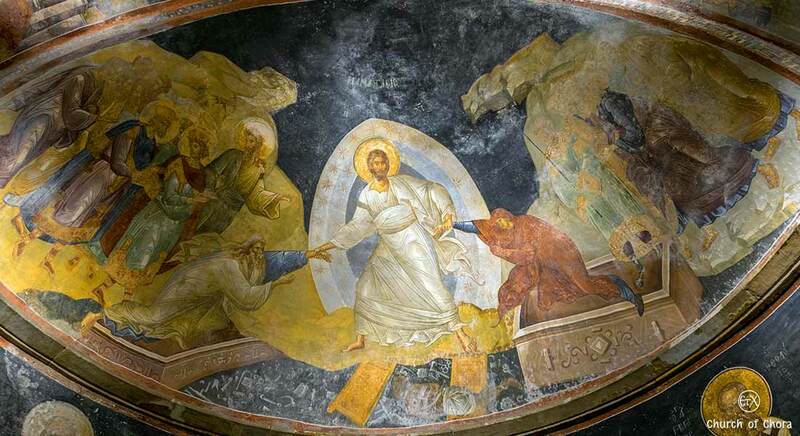 The Parekklesion in the Church of Chora is decorated with frescoes with major themes of redemptive powers of both Christ and the Virgin promising salvation to the faithful. 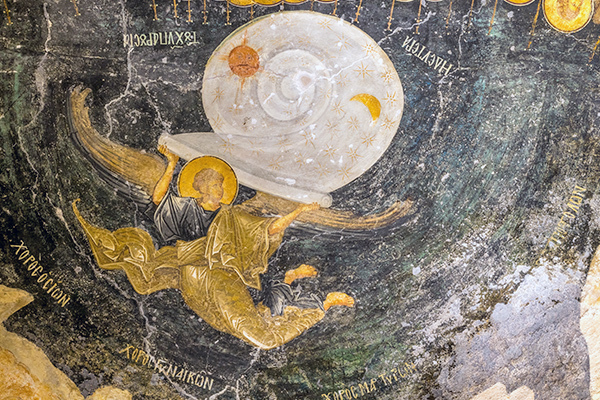 With the Anastasis Christ is depicted as triumphant over Death with the resurrection of Adam and Eve and extended by each side covering the arch of the bema with resurrection miracles of Christ raising the dead. 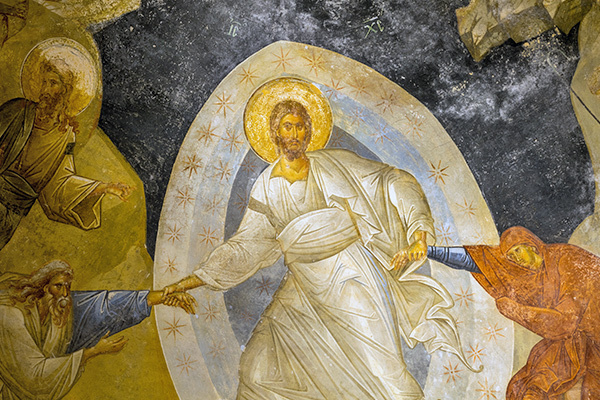 A theme of salvation is the composition of the Last Judgment or Christ’s Second Coming where Christ sits in judgment, triumphs over death and redeems the righteous. 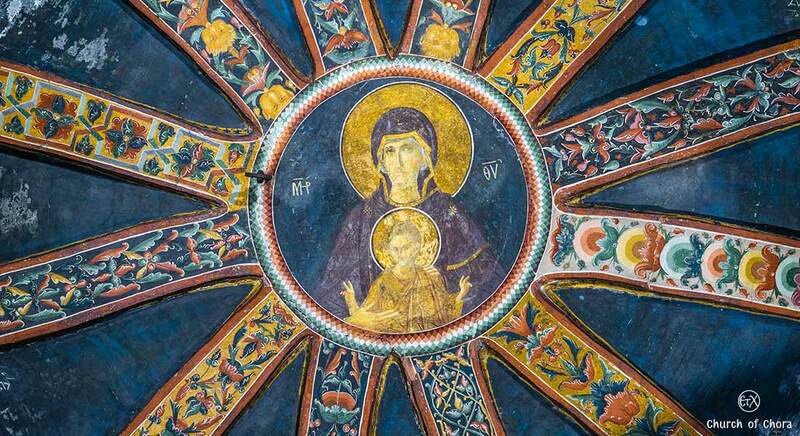 On the western part of the chapel the theme of incarnation is evident in the medallion of the dodecagonal ribbed dome where Virgin and Child is surrounded by a host of angels and Byzantine hymnographers seated on the pendentives of the dome, writing hymns which were incorporated into the funeral services honoring the Virgin and emphasize her role in the process of salvation. 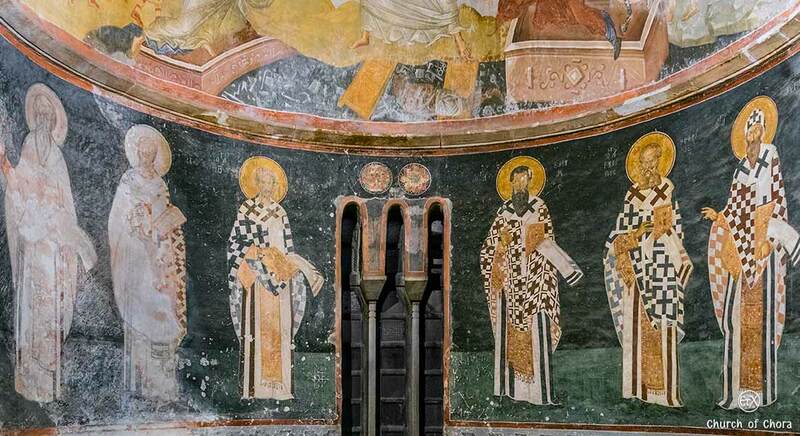 Parekklesion on its walls hosts a plethora of full-figure portraits of martyrs and warrior saints, holy persons recognized by the Byzantines as mediators to reach God. 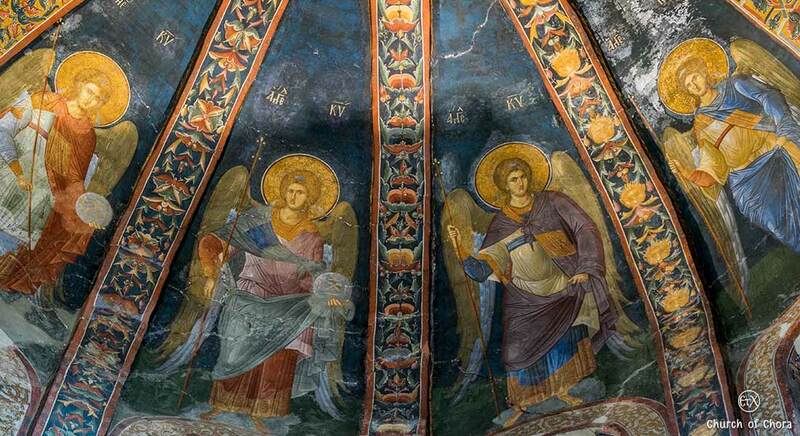 These depictions of Martyrs start from the southern wall to the west until the northeast.